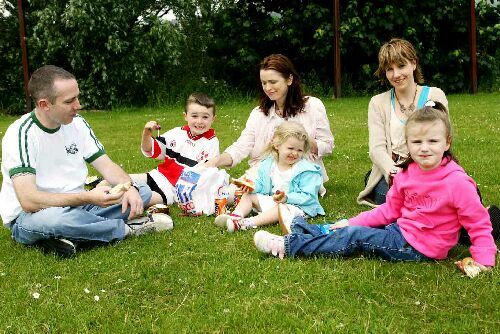 Welcome to Eire Og's Juvenile Page! Congratulations to Oisin Rodgers, Matt Devlin and Steven McCaffrey who have been selected for the Under 14 County Development Squad. The Under 14 have been playing really well. Having beaten Creggan, St Pauls Hollywood and Lamh Dhearg they now meet St Pauls in the semi final of the Feile. 2005 was a good year for the Junior Ogs. Our minor footballers, playing under Naomh Nua - an amlgamation with St Teresa's and St Agnes, finished the Winter League unbeaten and winners of their section. Unfortunately they lost the League Final to St Galls in a close match. They continued their good form in the South Antrim League and finished in the top half of the table. 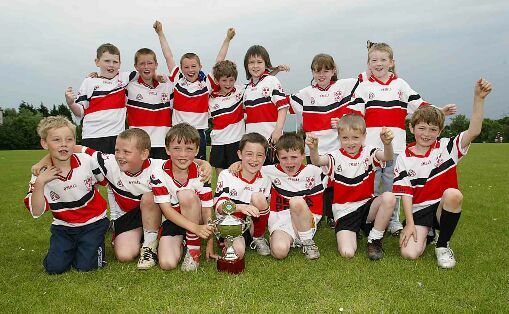 The Under 10 footballers won the Sean McCartan Endeavour Shield while the Primary 5 team reached the semi finals of the 2005 May Day tournament at St Galls. The annual Juvenile Awards Presentation for 2004 took place on December 4th at the Europa. Antrim star goalkeeper, Sean McGreevy, and new Antrim county manager, Micky Culbert were guests and gave out the awards to the victorious Under 12 footballers who won their league, the Under 9 footballers who won the Carryduff Blitz and other individual prize winners. Underage teams and players did really well for the Ogs in 2004. 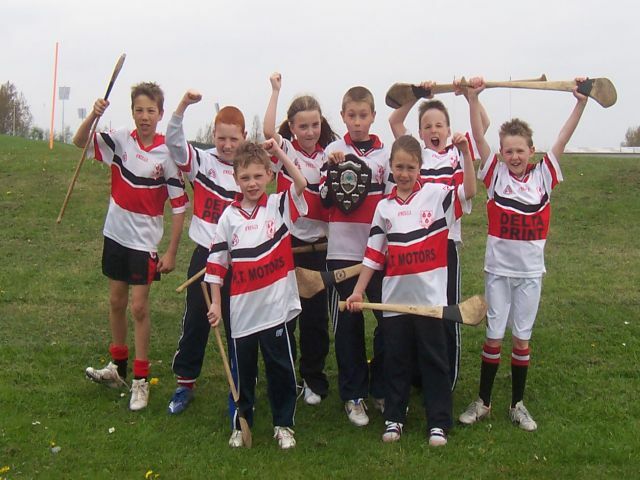 Apart from the successful Under 9 and Under 12 teams, the Under 10 footballers had a good season while All County Minor Hurling came to the Ogs for the first time in many years. 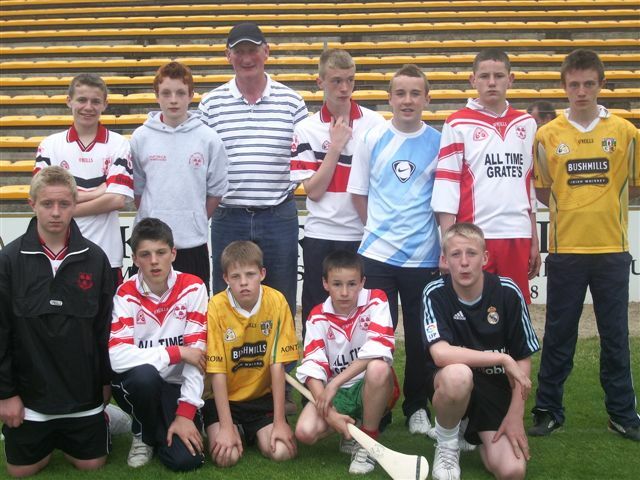 Ciaran Ryan was selected for the County Minor team and several other minors look to be excellent prospects. To see information about any of our underage teams click on the links above. To the left are other links where you can read about any Award Ceremonies or activities for our junior members.